What a season of Fly-Fishing it has been! And, even now, as we proceed deeper into October, the lines have still been tight and the rod has been bent over more days than not… As always this time of year, I find my mind wandering and reflecting back on the many great times the river has granted me in the past months. To the many new rivers and streams I’ve explored this year, to the amazing clients and friends my new job has afforded me, to the odd and whacky weather that is seemingly becoming the norm. 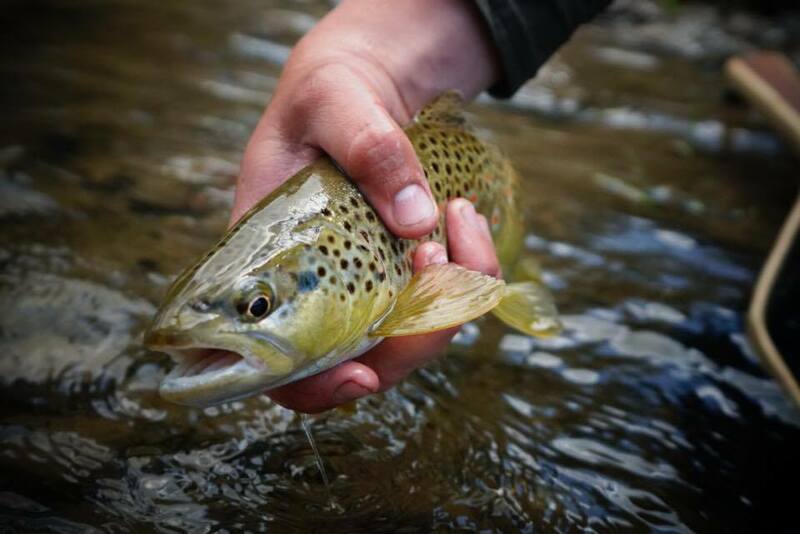 Yes, every year does bring something new, something enriching that reminds us why we fly fish. So, as the season winds down, I have compiled my top riverside reflections from the past season. Enjoy! I was beginning to think that I was starting to get to know most of the good places to fish in Alberta. That is until I began to work in a river system (Red Deer River) that is generally not considered the Creme-d-la-creme when it comes to Alberta fly-fishing. Yes, the spring fed creeks in it’s lower reaches is great fishing for browns, and most people know about these streams. I have explored almost all of them and thought I knew about all the good streams in the Red Deer system… But working up in the Red Deer River high country, I simply had no idea as to the extent of the Backcountry Streams. What about the Panther River? Sheep Creek? Williams Creek? James River? Places where the scenery is worth the trip alone, like the upper Red Deer near the Ya-ha Tinda. 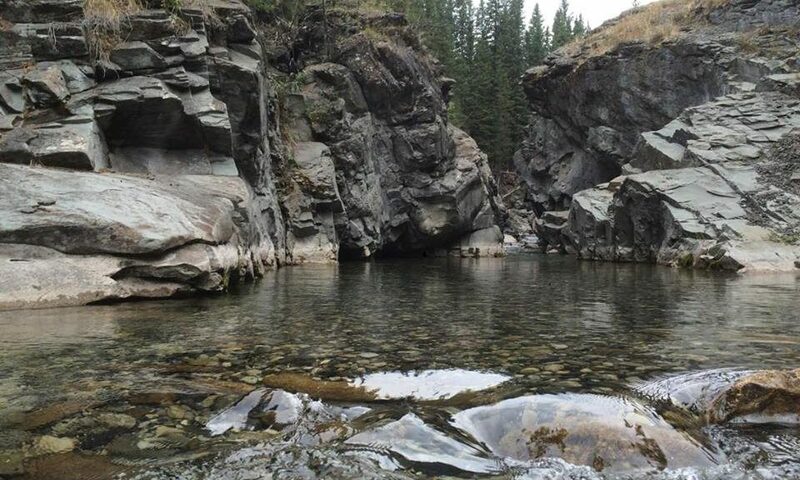 And hidden backcountry gems, places that I have no regret sharing because there is probably only a handful of people who fished them all season, like the Dormer River, DogRib Creek, and the Upper Panther. And then thinking about the places where I have barely scratched the surface, in the Ram watersheds, the Tribs of the N. Sask, the peace, and the Athabasca… We are truly blessed. So next year, maybe instead of going to the overfished waters like the Livingstone, the N. Ram, the Highwood, the Oldman, or the Crowsnest, maybe think about heading somehwhere where you can’t find any info about on Fishing forums and threads… Cause, from this years experience, there is fish almost everywhere for the angler willing to put in his time. This season, I had the pleasure of meeting, working with and spending time with a couple of my fly-fishing idols, Jim Mclennan and Derek Bird. And, it happened out of complete random chance. It’s not everyday you roll into work (luckily I was early, or would have missed them altogether), and see Jim Mclennan sitting on his tailgate right in the parking lot, with Derek Bird and the Fly Fusion crew, and Naoto Aoki, Josh Nugent and the rest of the guys from Out Fly Fishing Outfitters. I obviously went right up and began chatting, seeing what the hell the worlds second largest fly-fishing magazine was doing up here in one of the lesser known corners of Alberta. Apparently, the southern portions of our province were closed due to wildfire smoke. They had to improvise, and decided to come up to the S. Ram, and then to the Upper Red Deer, where they needed some lodging (and that is where we came in). After a few minutes of chatting, I figured I should let the crew know that we had a helicopter on site, one that could give them access to some world class high alpine lakes. And from there, an episode of the upcoming Fly-Fusion TV was born. While I didn’t get to join on the fishing, I got to spend 2 days getting to know everyone, learning from Jim and Derek, and helping the crew by giving them tips and advice on fishing in my backyard. They were all so ecstatic and grateful, and for sure it was one of the highlights of the summer. I am hopeful and excited for the chance to work together again in the future. So, keep your eyes peeled for that episode of the upcoming season 3 of Fly Fusion TV. Alright, I know anyone who isn’t a dimwit already knows this. And if you are reading this and you disagree, I find that a little troubling, so please unsubrscribe and go back to watching trump propganda videos. 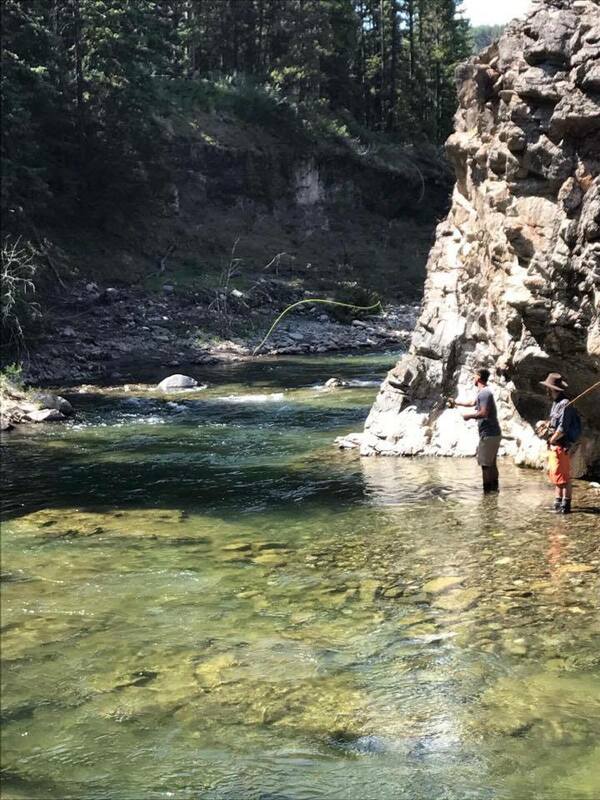 What I do take away from this season, and what I feel is significant to the whole climate change dialogue, is that I feel as though we are genuinely beginning to experience this entire phenomena as we enjoy and interact with our trout streams, on a day to day, month to month, and season to season basis. Climate change is shifting from that hypothetical, far-off yet inevitable reality to something that is actually beginning to impact us in the real world now. 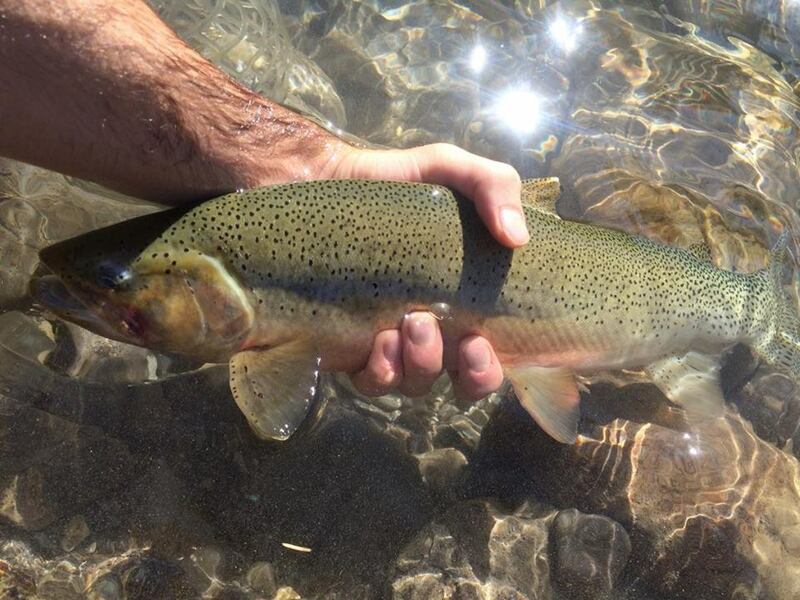 And its people like us, Fly anglers, who are one of the few demographics that interact with the environment on such a intimate level that we actually begin to notice these changes. Maybe I’m over reacting. Maybe not. What I can tell you is that climate change experts will tell you that we will experience climate change by have larger seasonal variability, AKA more ‘anomalies’ in our weather systems. More floods, more droughts, more extreme weather, and overall, just more unpredictability. And nothing sheds light on this reality like the past several years taken as a whole. Starting with this season, where many parts of Alberta went over 2 months without receiving any measurable rain, and a summer that was one of the driest in living memory. All I can tell you, is that since I have become a serious fly angler, almost every year has been considered an ‘anomaly’. Starting with the 100 year flood of 2013, the consecutive low snowpack and impending droughts of 2015 and 2016, and now the dryest summer in memory, which also resulted in dangerously low river flows, particualrily in our spring creeks. I’m just saying. I’m also a skier, and we have received some alarming avalanche conditions in the past several years, including the largest avalanche cycle on record last season. This stuff is beginning to affect us, and will continue to affect our trout. As I’ve discussed before, trout are fickle creatures, and can only withstand very small amounts of climate variability. So, being the in-tune, climate conscious outdoorsmen that we are, it’s up to us to recognize these things, and do everything in our power to protect our resource, including practicing catch and release, safe handling, pinching of barbs, staying off the rivers when conditions dictate, and also helping educate those in our community who arent as aware of how fleeting out trout populations might be. Browns were in tough with the low rainfall this season. My final reflection from this season. In late August, a man showed up to our Lodge after being visciously mauled by a grizzly. We were able to helicopter him to safety. I was able to meet this man, and seeing how quickly things can happen really made me think. This man was lucky to survive, and it was his sheer will and determination that saved him and got him to our Lodge. 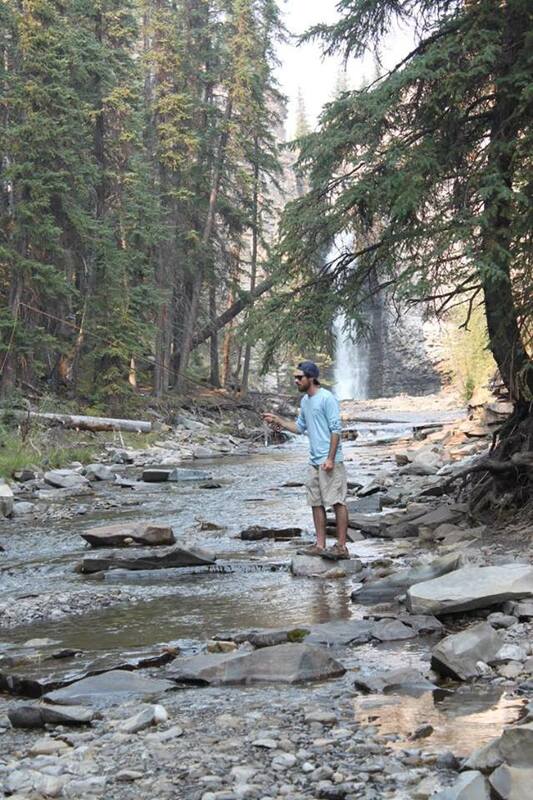 When venturing into the backcountry, which is what we support and condone here at Bushwhackers, you MUST be prepared. Even if you have gone to a place a hundred times and never seen a bear, you never know when you might turn the corner on a big griz. So dont take chances. Carry spray! Thanks for Reading! Now get out and enjoy the fine fall fishing! The Bow River has been Bonkers as of late; small copper johns, pheasant tails, hares ears have been producing epic fish! And the high country is still going. Go get em! Thanks for that lovely article. I will be in Kelowna in mid June. Hoping to fish Mission Creek. Don’t know whether it’s legal in town along the Greenway. If not, could you tell me specifically where it can be fished? Or whether there are other small creeks around town? Afraid the Kettle will be too high/fast. Thank you.